The following is a guest post about outsourcing. If interested in submitting a guest post please read my guest post policy and then contact me. Outsourcing is the business practice where a company lets another company handle part of its business function. Some business functions that are outsourced include the sales department, collections, accounting, bookkeeping, marketing, and other back-office services. However, does outsourcing result to a boost in profits? In certain cases, it does. It depends on the kind of business, as well as other factors that will determine whether outsourcing a particular function can benefit the business finances. By outsourcing some functions of the business, businesses can save in terms of costs. From a fixed cost composed of overhead costs, salary to employees, additional office space, and other costs, it can be converted to a variable cost that may depend on the output of the outsourced business. For example, if outsourcing sales functions, the business costs can be made to depend on the amount of sales involved. Thus, the monthly costs will go up when profits are up, and down when profits are down. Outsourcing engineering services can be more cost-effective for a small business, compared to if an engineering division is maintained year round. In this case, finding some reputable services like www.asianprosource.com would be a great decision as it is not only cost-effective but is really trusted to deliver expected quality services. Compared to a fixed cost, a variable cost will allow the business to save at certain times. Some outsourcing contracts even require the outsource company to comply with a set quota, non-compliance of which will entail lower costs, and over-compliance will result to rewards. In this case, the outsource company will have a positive incentive and a system of punishment to maintain efficiency. Outsourcing enables the business to focus their resources in the core projects or core activities. For example, if the business deals in manufacturing computers, it can be to their advantage to outsource the sales function of their business and focus on the manufacturing function. This can also boost investments, as investors will have more trust in their product as they give more emphasis in its quality. Outsourcing also enables businesses to forgo some departments, which are only essential during specific seasons, such as the accounting department. Small businesses can normally handle their bookkeeping. However, during tax filing season, the business may need the help of an accounting firm to sort out their tax liabilities. Thus, during tax season, it is sensible to contract out the accounting function at a fixed cost. This saves the company in terms of expenses and costs during off-peak season. Since the business saves in terms of overhead costs and expenses, the company will have more time and resources to devote for the development of their internal employees. The company will be able to give more value in terms of salary increases and employee benefits. Better employee investment promotes employee retention, which in turn reflects a sound business environment that may attract investments and trust from potential clients. Outsourcing enables small business owners to produce the same quality of business as bigger ones. It allows small businesses to offer the same support that larger companies provide from their in-house employees. Outsourcing reduces the risk to which small business owners can be particularly vulnerable. Every business has its own risks. However, small businesses may take longer to bounce back from a risk or a failure, unlike a bigger company. Nonetheless, by outsourcing business functions, small business owners can utilize the expertise of outsource companies in terms of managing these risks. 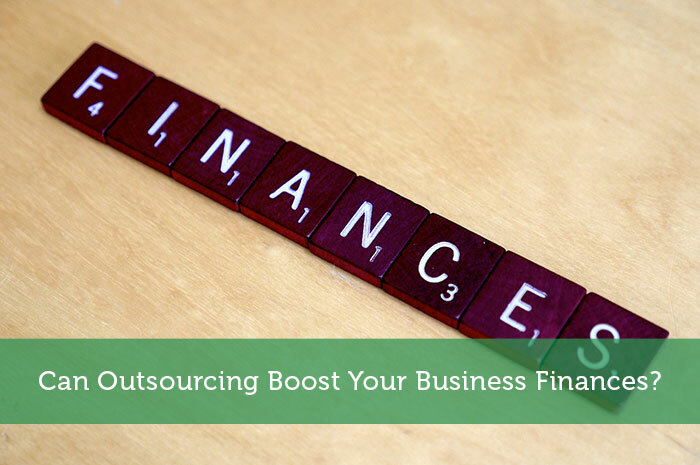 Can Outsourcing Boost Your Business Finances? “Outsourcing can increase employee value”- This is a benefit I definitely would not have thought of off the top of my head, but it’s so dead on. Very interesting read. I’ve also found outsourcing helps with networking. If you stay closed up in your shop all day trying to accomplish everything yourself, few businesses need to interact with you. I’ve had great success with outsourcing. Its really important that you outsource to a company or individual that you can trust and maintains your confidence. I think its also key that you communicate frequently with those who are working remotely for you, but it can definitely be a beautiful thing. I would think it is a very rare company indeed that increases employee salaries and other benefits because they have saved money through outsourcing. In fact, my experience doing business consulting would show that this never happens. Which is not to say that outsourcing is either good or bad. It benefits some companies and not others. But it is the companies that benefit, not the employees. Outsourcing are totally a big help, especially to the big companies, that’s why there lots of outsourcing companies or individuals nowadays. I know lots of companies hired someone or company to do jobs for them and it would benefit both parties. I have observed many countries do outsourcing nowadays. Most common here in our country are the gadgets, the most famous brands come from USA (Apple products), China (Cherry Mobile) and etc. So, our own products were being declined by most people nationwide because they prefer to buy products which came outside our country. I know outsourcing is seen as a terrible thing for american jobs (canadian too?). But here’s the thing – it’s a business decision. By outsourcing things like tech support to India, not only are the business’ costs being lowered, which lowers the consumer’s costs, the workers in India are leading better lives, because what we pay them affords them a better life. It’s just crazy to me that we are all about humanitarianism – until outsourcing comes up! Outsourcing is one way to reduce the cost and to increase the profits. Many multinational companies in the United States outsourcing their customer service to other part of the globe like in the Far East. Outsourcing can definitely increase efficiency! If choose the right companies, they can do a very good job in a few hours whereas it would take you months for an end result not as good. Thanks for sharing the post. Outstanding article, the benefit of outsourcing accounting services are explained exceptionally well in this article. It even helps to reduce time, focus more on core competencies, only pay for services you use etc.